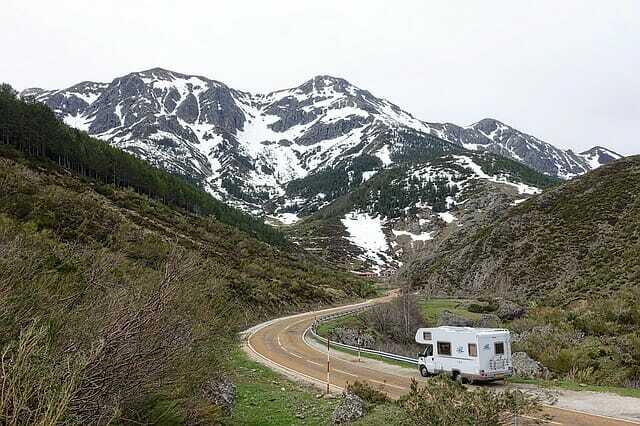 Vacations can be costly enough as it is, and with RV travel being regarded as relatively affordable it is proving to be more and more popular. With rising fuel costs though, the affordability is being gradually eroded away more and more; so to offset the increased expenditure, here is a list of the best ways to save fuel and stretch your budget that much further. 1. Your air-con will sap your fuel efficiency massively, so try to travel at cooler times of the day and plan your route to avoid heavy traffic. 2. Make sure your tires are correctly inflated; under-inflated tires produce more resistance on the road surface and reduce your fuel mileage. 3. Check the wheel alignment. Wheel imbalances increase tire friction on the road resulting in reduced fuel mileage. 4. Keep your engine properly maintained and correctly tuned with regular servicing. This way it will run much more efficiently. Using the manufacturer’s recommended motor oil will boost fuel efficiency by several per cent, and something as basic as a clean air filter can increase it by up to 10%. 5. Driving without an A/C cover and with the antenna up will generate a lot of wind resistance, increasing fuel consumption. 6. Don’t travel with a full freshwater tank unless you are Boondocking. The extra weight will seriously diminish your fuel efficiency. Only carry what you need to get to your destination and fill the tank there. Similarly, empty your holding tanks before setting off from the park. 7. Remove any large or full liquid bottles (cleaning products etc.). You can replace them with smaller plastic bottles, only taking what you need. Also, using plastic plates instead of paper ones can save a serious amount of weight when carried in bulk. 8. Find a campground closer to where you live. You may be surprised at just how many RV parks are situated within a 150 mile radius of your home town. 9. Many RV parks will offer you a loyalty discount for staying with them longer, and the majority of them have all the comforts and facilities you need for a great vacation. By travelling less you will save fuel, as well as the savings for staying multiple nights. 10. Only stock up with firewood once you reach the site, and leave behind what you don’t need. It is amazing how many RVers travel around with their supply on board, adding serious weight to their vehicle. Even if you only follow a few of these measures you’ll use less fuel and keep more cash in your pocket. Your driving style can also have a great deal of influence on your vehicle’s fuel efficiency. Try starting off by driving slowly until the engine is up to temperature, at which point it becomes much more fuel efficient. Driving at a more sedate and constant speed conserves fuel, so set your cruise control to 55 on the highways. For every 5mph over 60mph you go, you are paying approximately 10 cents extra per gallon. By going 70mph down the highway, you are increasing your fuel’s price by 20 cents per gallon. That’s a massive difference, and will add up quickly over the duration of your vacation. If your vehicle has poor emissions or a defective oxygen sensor, your fuel efficiency can be reduced by a whopping 40%. When you buy premium gas, you’re just throwing your money away. Just use regular fuel unless your vehicle requires the higher-octane type to run properly. Also, using the throttle lightly when going uphill reduces fuel consumption, as well as preventing the engine from overheating and becoming less fuel efficient. And remember to turn off the engine when stationary for any prolonged period as idling wastes fuel. Remember to talk to other RVers that have a similar RV or trailer set up to you, and compare notes on gas mileage. If you are getting significantly worse results then consider getting it checked out professionally. So whether you drive a class A or a small motorhome, tow a trailer or 5th Wheel there are many different ways you can improve your fuel efficiency. By performing simple maintenance, and improving your driving style, a huge amount of fuel (and money) can be saved. Jon Mills is an avid RV enthusiast, and the creator of the ‘Route-1’ low clearance avoidance system (the largest low clearance database ever devised for the USA & Canada). Available at LowClearances.com. He is also the producer of the popular ‘RV Pro Safety Guide’, providing professional safety expertise for RV drivers.